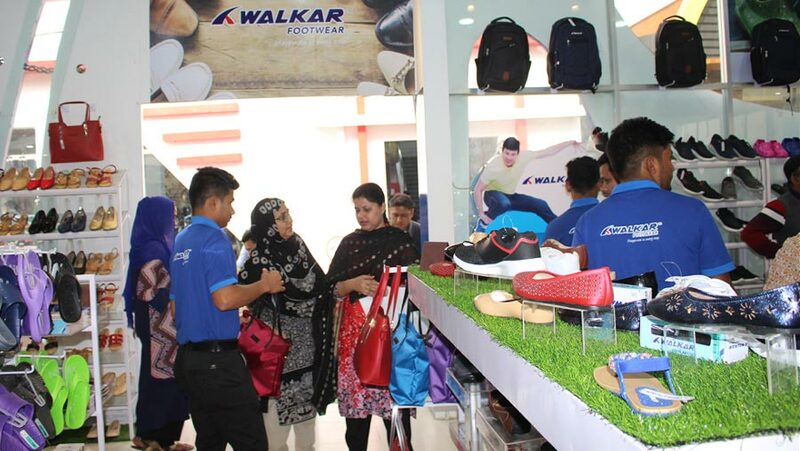 Walkar, a footwear brand of RFL Group, has been showcasing its diversified products with attractive designs at Dhaka international trade fair-DITF. The brand is offering maximum 50 percent discount to the customers. Visitors will able to find out the ‘Walkar’ General Mini Pavilion (No-13) turning on the left side after entering the fair venue through main gate. This year, Walkar footwear is displaying more than 600 hundred design’s products in ladies, gents and kids categories. Numerous stylish shoes including casual shoes, kid’s shoes, sports shoes and sandals for all class of people are available at the outlet. Besides, some fashion accessories including bag, belt, and wallet are available at the pavilion. Customers can also place their feedback of the products through the facebook page www.facebook.com/WalkarFootwear.